If you’re anything like me, you probably have countless things you want to do. I’m not talking about to-do lists with “pick up milk” and “call Mom,” I’m talking about TV shows you want to watch, restaurants you want to try and similar things. Also, if you’re like me, you may have a few scattered lists of things you want to do. I use Netflix’s ‘My List’ feature to keep a tally of things I want to watch — but never do, I keep a running list of books I want to read (but never do) in my head. The worst offender is my Steam library, a veritable wasteland of games I wanted to play, but never did. Soon is an app that promises to compress those lists into one single place where I can keep track of the things I want to do, when I do them and how much I enjoyed doing them. The app promotes itself as an “everyday bucket list,” and I think it absolutely nails this. 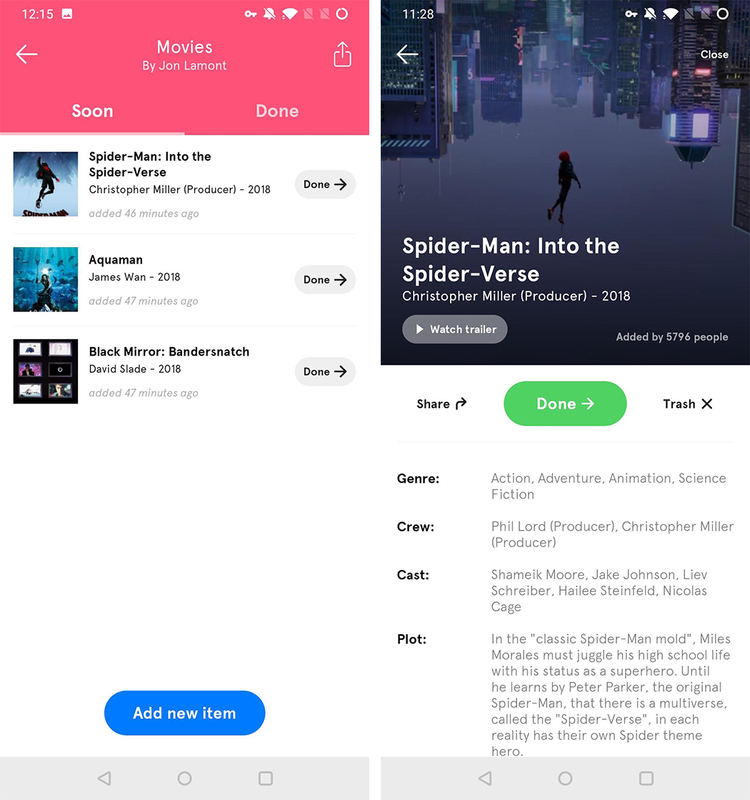 Soon presents users with a list of categories, including movies, music, TV shows and other media, where they can add items they want to watch/read/play. There are also various categories for restaurants, local attractions, museums and cafes, among other items. As you fill up your lists, coloured circles will appear beside the categories. Those circles will grow when you add items and shrink when you finish them. If you find yourself lacking inspiration, Soon lets you see trending items you can add to your lists. 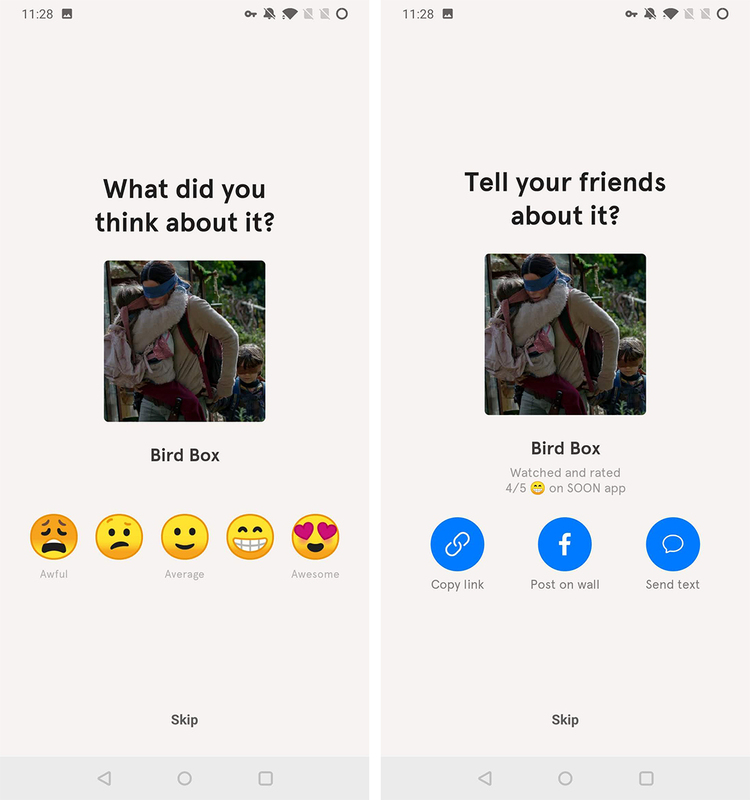 Further, you can connect the app with Facebook to see what your friends want to do. This helps people connect over mutual activities. Soon also works if you’re travelling. You can add city-specific activity lists, which helps plan which attractions you want to visit when you go somewhere new. Further, the app provides info on things you add to it. For example, you can read descriptions of movies in your list, or see where that cafe your friend recommended is located. When you finish an activity, you can mark it as done. When you do, Soon asks you to rate it quickly, and offers several ways to share on social media. On top of all this, the Soon delivers the experience in a well-designed app. I absolutely love the look of Soon — it takes on a Material theme-like design, with a floating action button (FAB) and great animations. I will say, however, that the app’s animations were often jittery on Android. They were a little smoother on iOS, but they still didn’t feel great. 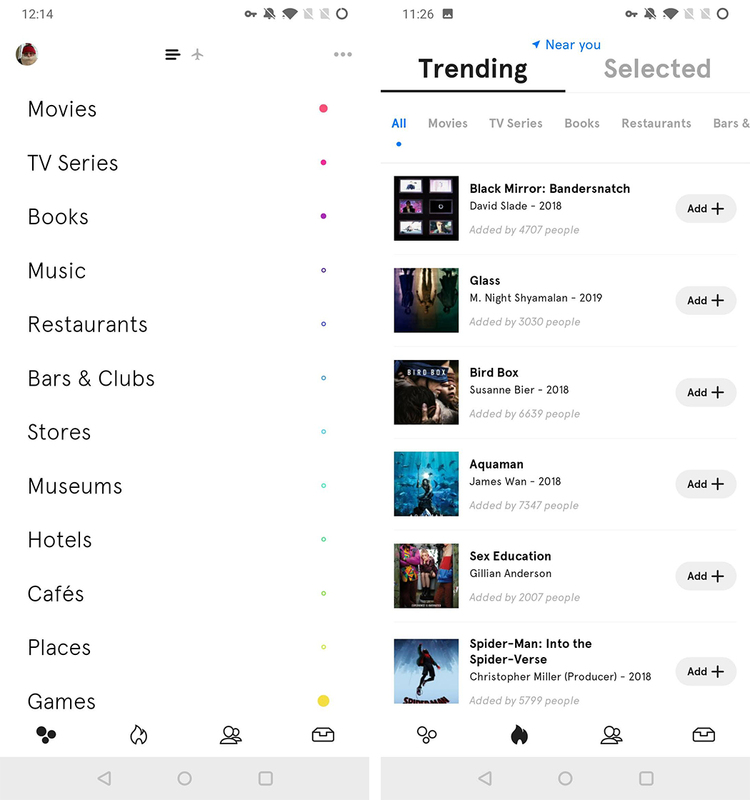 Overall, if you need something to help organize all the lists of things you want to do, Soon is a great app to help out with that. It’s still got some early release kinks, but those should improve over time. Plus, the app is free on iOS and Android — and doesn’t have any ads.